A while ago we had a look at Liverpool not long before I was born, and 1953 looked like a strange and long ago place. 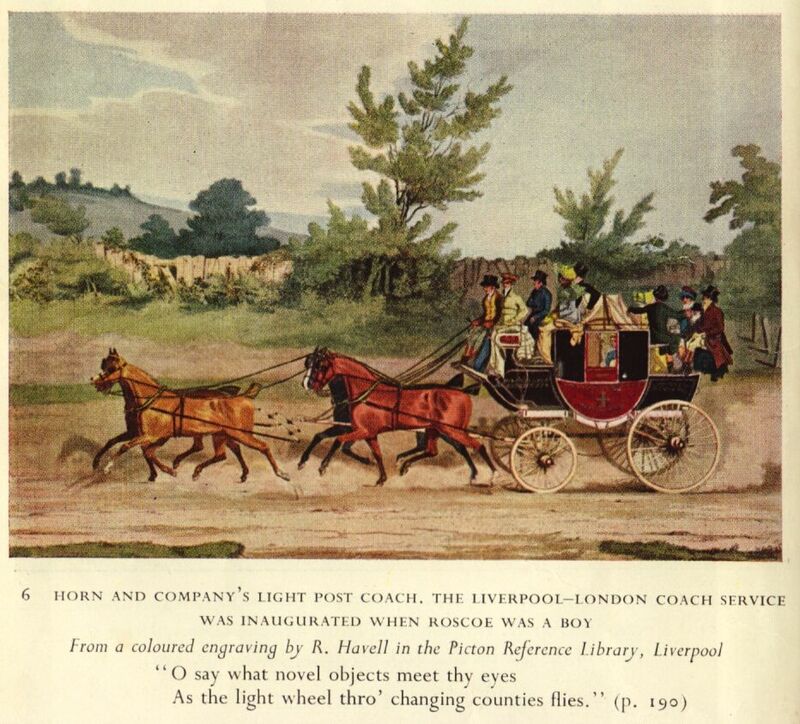 Today we’re going well back before any of us were born, to an apparently idyllic Liverpool of 1775. The view then, Liverpool from where the Anglican Cathedral stands now. Where we now have the Cathedral and Upper Duke Street, the harvest is being brought in. So close to the docks and the river, we are well outside the town. 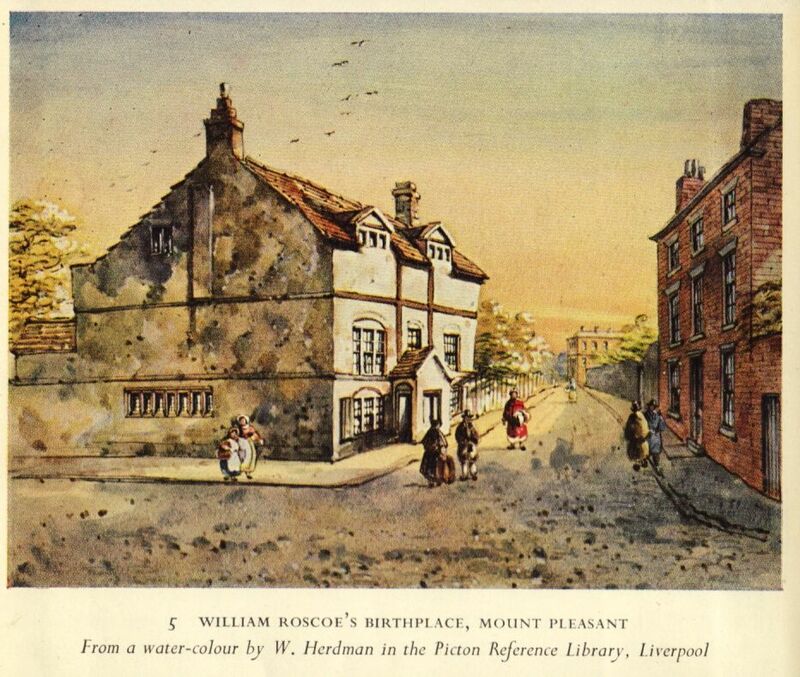 The line of trees on the right of this picture is Mount Pleasant, where a few years earlier, William Roscoe, son of a market gardener, has been born, in 1753. We, and the town will be hearing a lot more from this rural neighbour. Because of course this Liverpool place is not at all as rural or idyllic as these two pictures make it appear. Though overland travel is both arduous and dangerous still, the town is now firmly connected with London. And though small still, the town is growing. A population of 20,000 in 1750 will reach 80,000 by the end of the century. And the town and its people cluster around its docks. Because the wide river, so cleverly exploited by the creation of the ‘Old Dock’ between 1709 and 1715, is where the town’s money flows in. 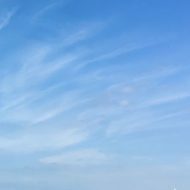 The Mersey, full of ships. And the money has been flowing in more and more lucratively this whole century, as the town of Liverpool has gradually come to dominate the Trans Atlantic trade in slaves. Liverpool is particularly well situated, on the western coast of Europe, for this triangular trade. First, manufactured goods, including arms and ammunition, are exported to Africa, and used to pay for people captured in ‘slave raids’ within Africa. Second is the ‘middle passage’, where the captured people are taken across the Atlantic, in the same ships, and sold as slaves. Finally the ships return to Liverpool with the produce of earlier slaves. Cotton, sugar, rum, tobacco and more. So Liverpool itself never actually sees the slaves? The Year 1775 actually witnesses the first interruption to this growing trade and prosperity, as the American War of Independence has begun. 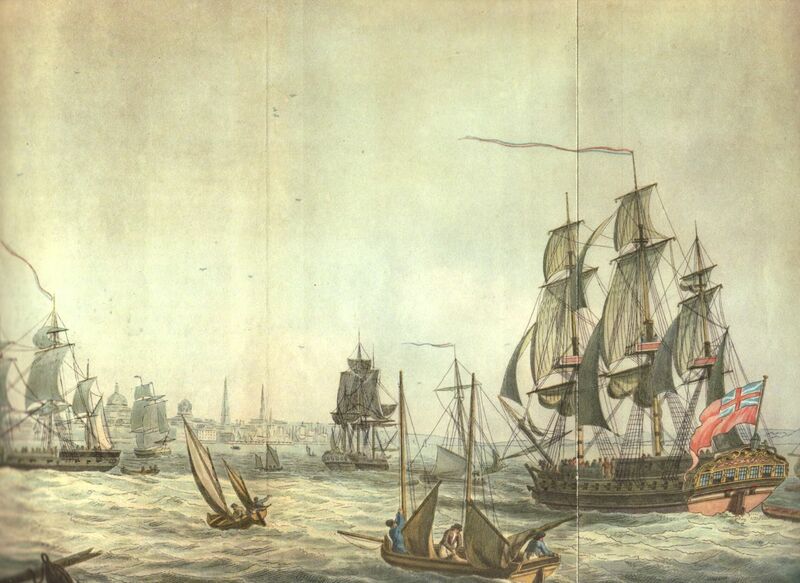 3,000 of Liverpool’s seamen are consequently unemployed because of this interruption to trade. They revolt when the shipowners take this opportunity to reduce wages. Some are killed and some are forced into the navy. 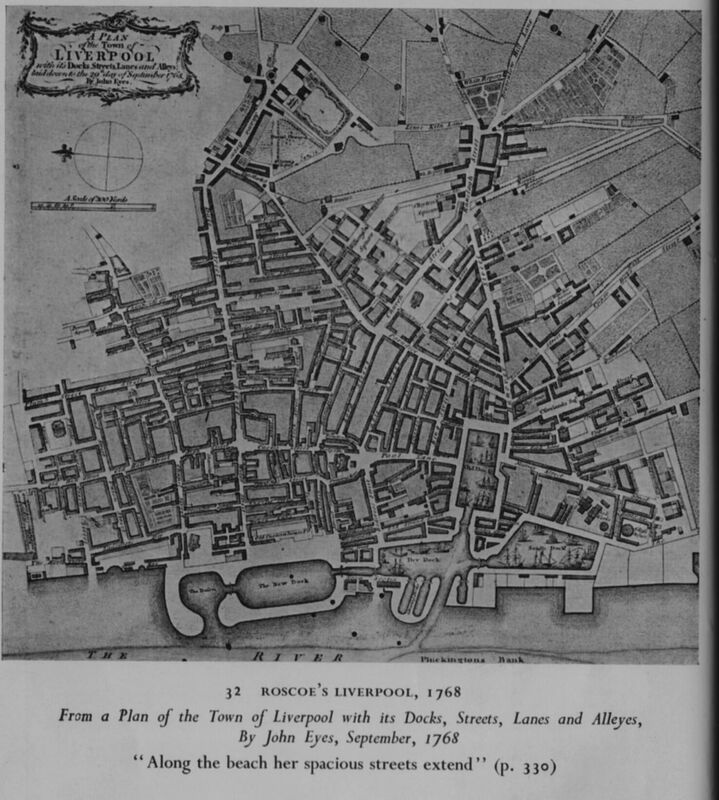 But nearly everyone in Liverpool in 1775 is involved in some way in its most lucrative trade. Not William Roscoe, though he is connected with many who are. At twenty two he is already a poet of some national repute and just at the beginning of his career as a lawyer and later a banker (so money from the slave trade will pass through his hands). Soon to be married, he will later set up house, again just outside the city, in the leafy glades of The Dingle. But still here in 1775, just to the left of the illustration at the top, a rather splendid church is being completed. 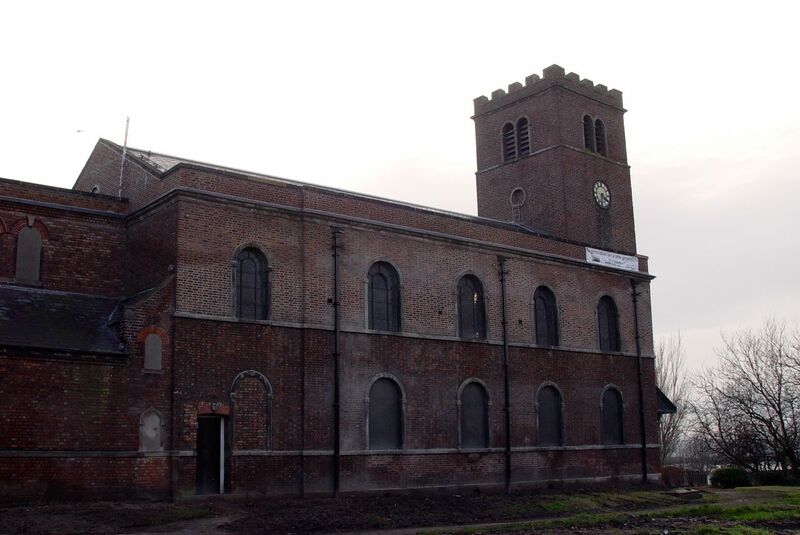 The Church of St James. “The Graveyard surrounding the Church of St James is the final resting place for more than 9,000 people. Here slave traders, captains of slave ships, slavery abolitionists and emancipated victims rest side by side. So, maybe, nearly 240 years after the lovely picture at the top of this post, a new kind of beauty will be created on this hill just outside the town? But before we leave 1775, let’s walk down the hill and into the town for a look at one more thing. Where there is wealth there always seems to be poverty too. 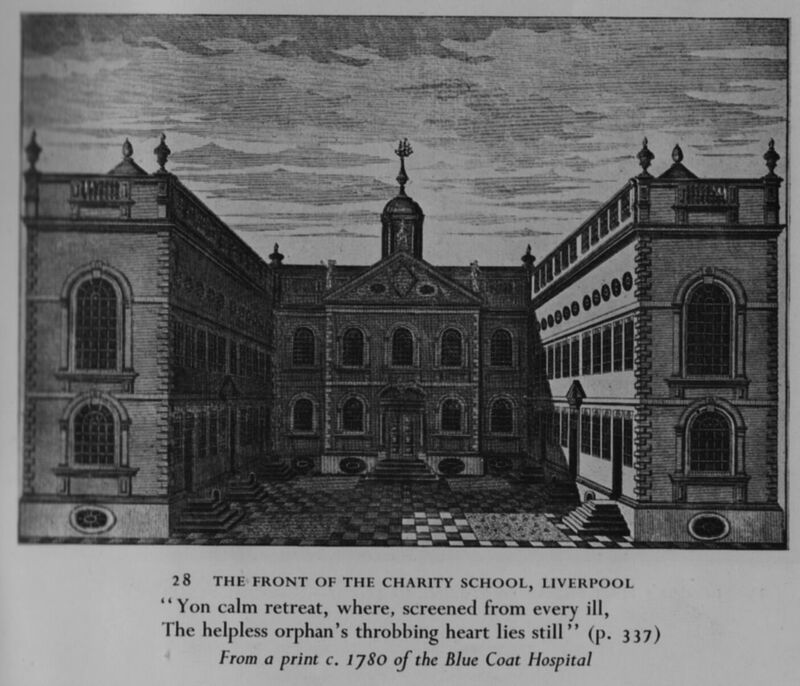 And here we find the Charity School, opened since 1718: This too will make it through to the 21st century. 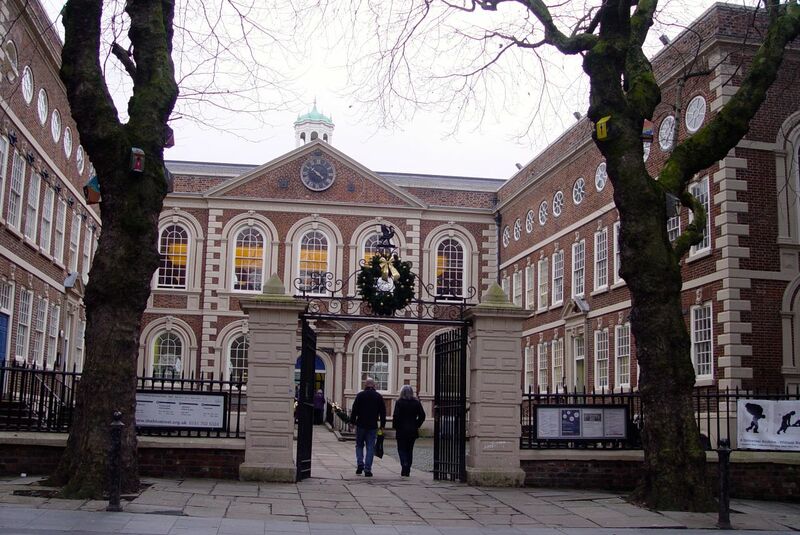 The Bluecoat, partly paid for by Bryan Blundell, sea captain and slave trader. So even now, back here in Liverpool 2013, though the triangular Trans Atlantic Slave Trade is long over, we regularly walk through its gates. Find much more information than is here at the International Slavery Museum in Liverpool. 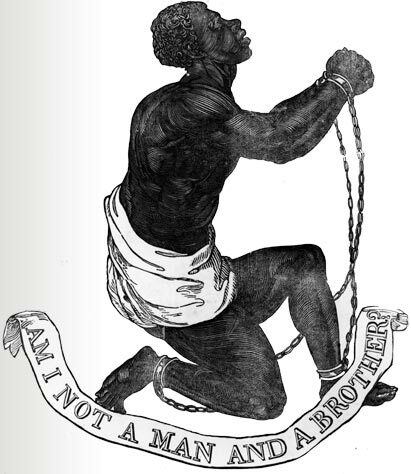 Also, see this reminder that slavery is still very much with us, Free The Slaves. 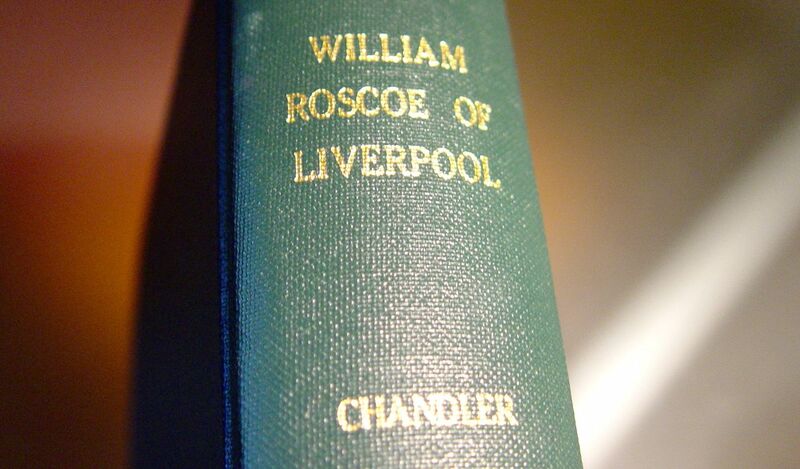 Most of the above illustrations, and accompanying poetry, taken from ‘William Roscoe of Liverpool’ by George Chandler, City Librarian, in 1953, the bi-centenary of Roscoe’s birth. I found my copy in Allerton Library. Excellent account, superbly illustrated. I look forward to more of this! Thank you Gerry. ‘1820’ is already in production! Great stuff… I’m looking for more William Huskisson info… have you thought of doing a study of him? I live on Huskisson Street and love the drama associated with him! I’ll definitely be covering him during a Huskisson Street to Edge Hill sort of walk. Pretty dramatic to get run over like that. Have you ever looked into the history of the flour mill on Mill Street, Lpool 8 Ronnie? I can recall as a young lad there was a round tower like structure, just like the old mills. But also at the entrance to the mill, there was an old cottage with a steepish roof on one side and down the other side it was a long shallow slope. As kids we always thought a witch lived there and used to run past just in case. But I do remember an old lady sat on the step. Black dress, white pinny, grey hair up in a bun. She scared the daylights out of us kids. Well described Stan. Are we in the 1930s here? Maybe I’ll do a ‘Walking around Liverpool like it’s 1930’ post? The Liverpool History Society group on Facebook has quite a bit of info on the old mill cottage including posts from a descendant of the last people to live there. Hi Dave, welcome to here. I’ll have a look at that. 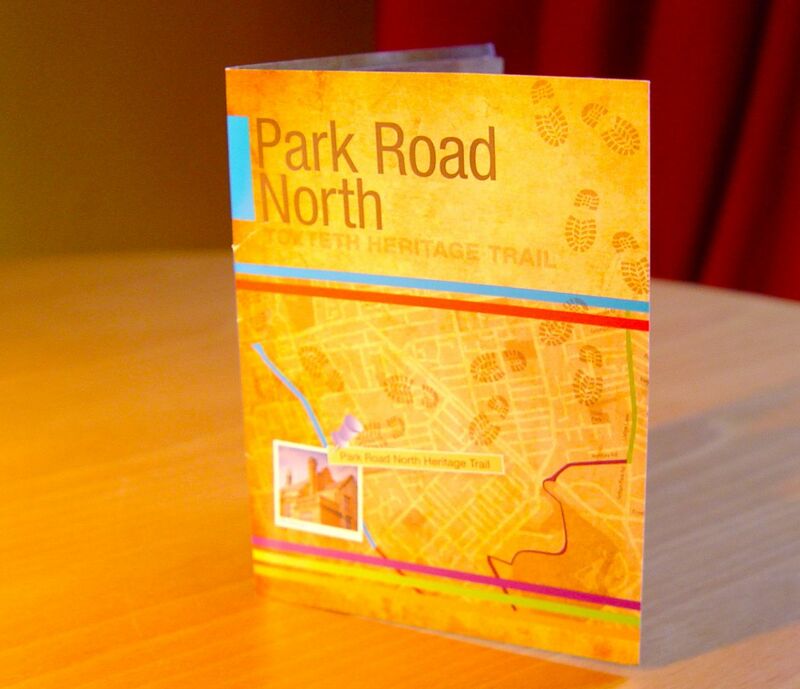 Absolutely fascinating – I can’t wait for 1820 and I love the idea of walks around Liverpool in different time periods. It is strange how we look down the centuries and marvel at the handsome buildings that probably owe their beginnings to wealth drawn from the horrors of the slave trade or some other dreadful enterprise. It is good to know that the Church of St James is to be a memorial to the slaves who endured the horrors of the trans Atlantic voyage . I wonder if those who took an active part in the trade are going to rest easily in the graveyard of the church when the Garden of Remembrance grows over them. Glad you liked it Mandy. I do particularly love these historical walks, putting a different frame on somewhere familiar, recognising that a city is never static, always changing – and always has. 1820 will be along any day now. And as for ‘those who took an active part’ – I couldn’t actually hear them spinning in their graves when I was there. But I think they soon will be. Though I suppose one of the things my research for both posts has brought home to me, is that virtually the whole of the city was involved. Slavery was part of the normal way of doing business then. As always Ronnie, informative, interesting and thought provoking. What an excellent ‘living reference’. Look forward to further instalments! A pleasure to be a living reference! Welcome to here. This data is a quote from the source indicated, so not my figures. And as I say later on in the post, numbers are very hard to be certain about. It was a lot. Thanks for the comment. I noticed afterwards you had given your source. Sorry for not noticing it before I commented. I just find the 5000 slaving voyages from Liverpool rather high given the peak rates were really only in the last quarter of the 18th C and then 100 voyages a year is a high estimate overall. I notice Ken Pye uses the same 5000 voyages figure. I’ll have to delve more deeply in the source data. 100 voyages a year for 107 years – I make that 107,00 voyages so 5000 is probably too low a figure. It wasn’t 100 voyages a year in the early part of the 18th C but much lower. I seem to remember there was only 1 voyage in 1709 rising slowly to 81 by 1775. Source Gomer Williams 1897. Excellent post, thank you! Work-related research brought me here, 3 years late. 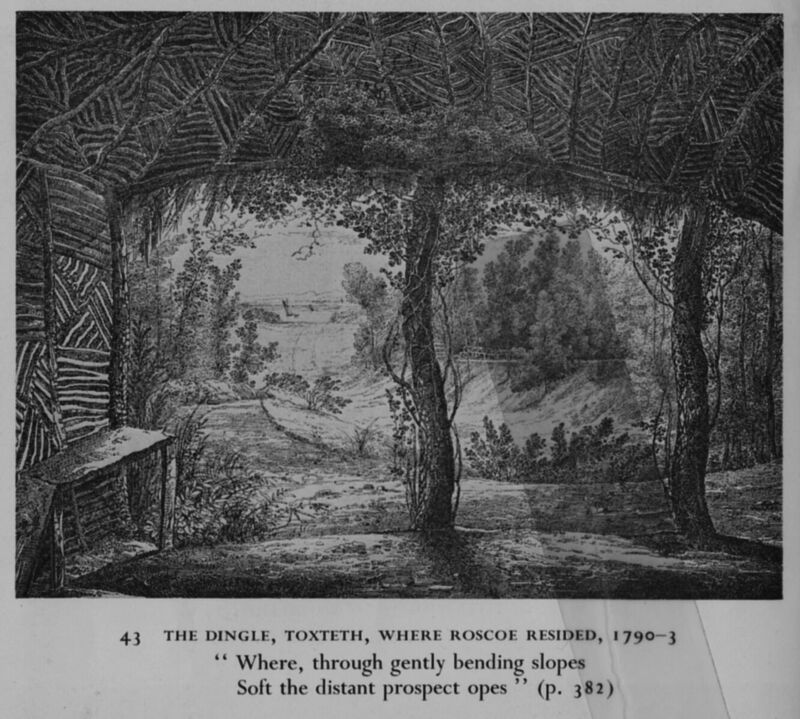 There is a lovely watercolour sketch of the Dingle, similar to Roscoe’s above, in the Quarry Bank archives.